The Graduate Aptitude Test in Engineering (GATE) 2019 has begun and will continue till February 10 in four days, conducted by the coveted Indian Institute of Technology (IIT) Madras. The Computer-Based Test (CBT) is for 24 papers and will be held in two sessions—forenoon and afternoon in an online mode. The admit cards are available online at gate.iitm.ac.in. Students will appear in the entrance examination at various centres across 195 cities over India and two cities outside the nation. 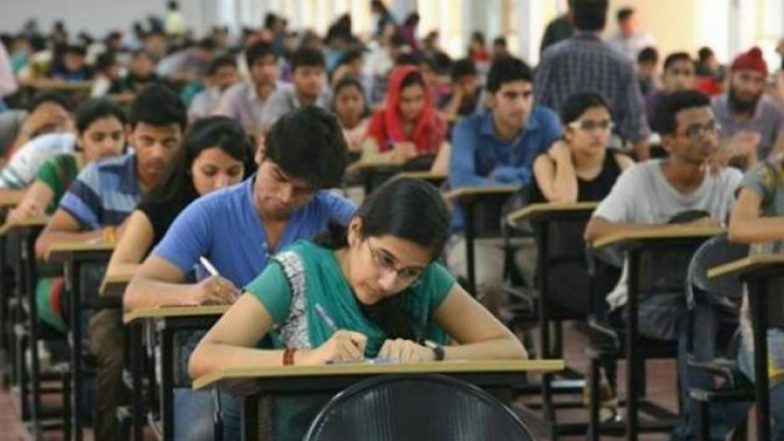 Starting from today, IIT Madras has shared some important guidelines that shall be followed strictly by the engineering aspirants on the exam day. 129 Indian Students Detained After 'Pay To Stay' Visa Racket Busted in US, Indian Embassy Opens Hotline. Every year, GATE is conducted by reputed IITs for granting admissions to M. Tech and PhD programs offered at the institutes and IISc. Besides, GATE scores are also used by several Public Sector Undertakings for recruitment purpose. Amid exam day preparations, there are a lot of minute details that candidates tend to forget. Here are the necessary exam day instructions that the students need to take a glance before appearing on GATE 2019. Free JEE, NEET Coaching in Delhi For Government School Students. 1. It is essential to carry a print out of GATE admit card and original valid photo-identity to get entry inside the exam hall. Note that the hall tickets are only valid of the candidate’s photo and signature images are clear. 2. Do not carry any electronic gadget with you like a calculator or mobile phone as they are not allowed inside the exam centre. 3. Scribble pads will be given to the candidates inside the exam hall by the invigilators. Write your name and registration number on the scribble pads. After the end of the exam, the same shall be returned to the invigilators. 4. Report to the exam venue at least one hour before the commencement of the exam for identity verification. 5. The GATE 2019 candidates can log in and read the necessary instructions 20 minutes before the commencement of the exam. 6. It shall be noted that the candidates will not be allowed to leave the exam hall before the end of the exam. 7. Avoid any coating such as ink, mehndi, henna or tattoo on your fingertips as a biometric system could be used to capture your fingerprint. 8. Do not tamper with the computer and the related hardware which are provided in the examination hall. Those who are found to do any of these wilfully, will have their candidature cancelled summarily. Appropriate legal action will be initiated against such candidates. GATE 2019 is a national-level entrance exam for students seeking admissions in Master courses for Engineering, Technology and Architecture. IIT Madras will conduct the exam in continuation on February 3, 9 and 10 and the results are expected to be announced on March 16, 2019.